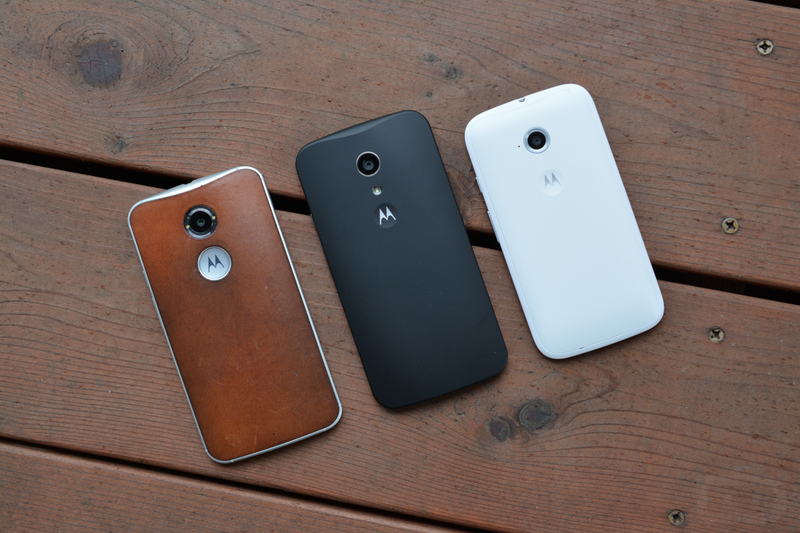 Motorola now has a full fleet of 2nd generation Moto devices to take it well into 2015. With yesterday’s introduction of the new Moto E (2nd gen) with LTE, the Lenovo-owned company can hit almost any price point or level of phone a consumer may be interested in. 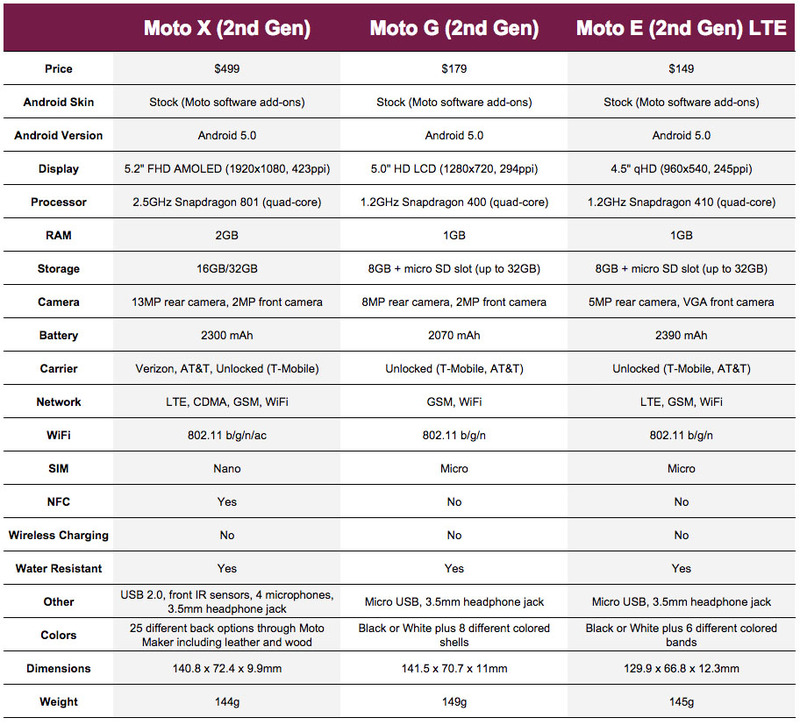 We have the Moto X at the high-end, Moto G in the middle, and now the new Moto E rounding things out at the “low” end. “Low” is a bit misleading, though, since it technically tops the new Moto G in a number of areas. To compare the three, we put together a classic chart to show the differences. I can imagine that a number of you are debating between the three, so this should help in your research. Below, you will find price, specs, connectivity, and color options for each phone.